We have moved! 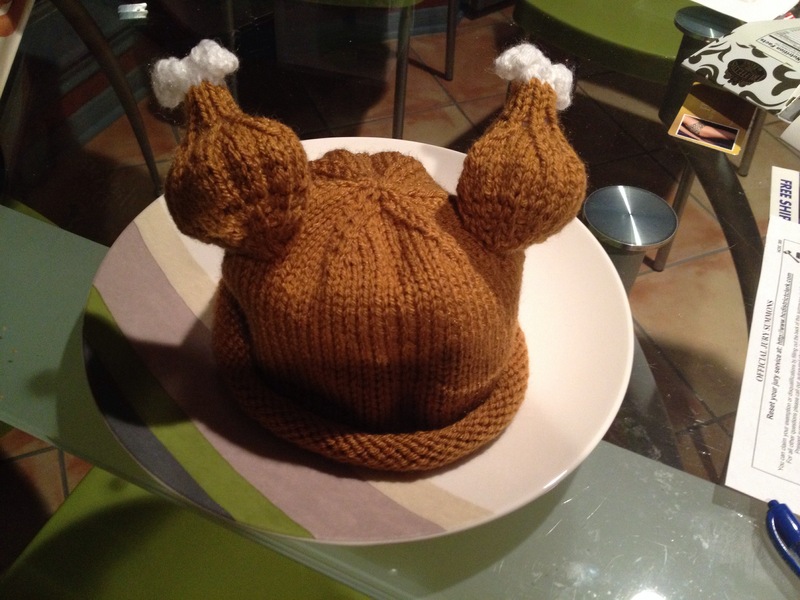 Please click on the link below to get to the baby turkey hat pattern. Hilarious. Very funny. You made my day! Happy Thanksgiving. Thank you SO much for the excellent instructions and for making this pattern free!! Thank you! I hope you can make it next year. The hats turn out really cute! I’m having a hard time picking up the stitches for the leg. Do you have a video of how you started it? Is it easier to knit it separately then attach? I couldn’t pick up my stitches with my knitting needles. I used a crochet hook. I don’t have a video available. I’ll try to explain the process. I slid the hook under the “base” stitch where I was going to pick up a new stitch, wrapped the yarn around the hook, and pulled up a loop. I placed that loop on my needle. I repeated the process for the next stitch. I haven’t tried making the legs separate and sewing them on. The shaping might turn out a little funky. If you have other questions or would like a video, please let me know. You should be able to count your rows and figure out where your markers should have been. First, flatten your hat so you have a front and back. On the right side of the fold, you should be able to see where you began decreasing. Count down six rows and left four stitches from your first decrease. Place a marker. On the left side, find where you began decreasing. Count down four rows and right six stitches. Place a marker. I hope this helps! Love this little hat! Making it for my grand baby’s first Thanksgiving. On the legs, the instruction is KFB twice-do you mean do in the same stitch twice or the next two stitches? I’m glad you like the hat! When I say KFB twice I mean to KFB in the next two stitches.